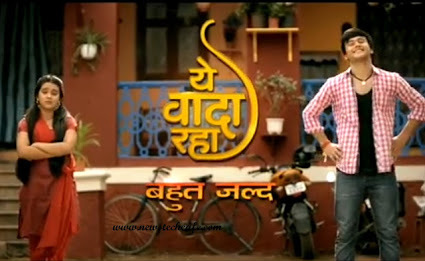 Yeh Vaada Raha is an 2015 upcoming show which will soon air on Zee Tv Channel.The show is produced by Vikas Seth under the Trishula productions banner Ankush Arora and Roshni Walia are playing the main leads in the show. Yeh Vaada Raha is a story about Kartik a 19 year old guy and Survi a 9 year old girl,who are completely different individuals separated by their backgrounds,age and temperaments.However, they are bound to each other across a lifetime by the promises made by one of them.A twist in the tale prompts Kartik to make an unbreakable vow to Survi's father that brings Survi and Kartik together.Will the promise made by Kartik to Survi's father stand the test of time?. Ankush Arora is playing the main lead in the show.His character name in the show is Kartik. Roshni Walia will be seen playing the female lead role.Her character name in the show is Survi.She was last seen in Sony Tv's historical show Bharat Ka Veer Putra – Maharana Pratap as younger Ajabde Punwar. Rinku Karmarkar was roped in to play an important role in the show.She was last seen in Color's Na Bole Tum Na Maine Kuch Kaha as Renu Sanjay Vyas. Pankaj Vishnu will be essaying the father role to the female lead in the show.He was last seen in Zee Tv's Pavitra Rishta as Ajit Lokhande & Service Wali Bahu as . The show will go on air from 21 September 2015 at 10:00 Pm on every Monday to Friday.